Since its adoption, the EU ETS has faced a number of challenges, including a substantial price fall with allowance prices getting below 5€/ton of CO2 during the economic recession. This has urged European institutions to implement a series of revisions of the system. As a result, after years of low carbon prices, in which trust in the EU ETS was low, the price of the European allowances has risen remarkably following the announcement of the reform of the EU ETS for Phase IV (2021-2030), which was passed in 2018. This confirms the crucial role that expectations can play in anticipating the policy when this is perceived as sufficient stringent, credible and long-run. FSR Climate, together with the Policy Outreach Committee of EAERE and in collaboration with the School of Transnational Governance of the European University Institute, organises this session to promote a more integrated dialogue between academia and the policy world, providing advice and support to EU policy makers and institutions in designing policy interventions. The event intends to continue the policy dialogue carried out by FSR Climate under the LIFE SIDE project (co-funded by the LIFE Programme of the European Union) concluded at the end of 2018, which supported European policy makers with the design and implementation of the new EU ETS legislation. 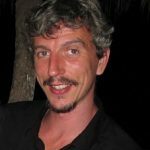 Dominique Bureau is General Delegate of the Economic Council of the French Ministry of Ecology and he chairs its Green Tax Commission. He is also Chairman of the Public Statistics Authority and lecturer at École Polytechnique. He started his career with the Finance Ministry. Then he has been in charge of the Economic and International Affairs department for the Ministry of Transportation, after creating the Economic department at the Environment Ministry. He is member of the scientific committees of La Fabrique de la Cité, Grand Paris Express and National Institute for agronomic research. He is also member of the Board of the French Association for Resources and Environmental Economics. Carlo Carraro is President Emeritus and Professor of Economics at Ca’ Foscari University of Venice. He holds a Ph.D. from Princeton University. He was President of the University of Venice from 2009 to 2014. He is President of the European Association of Environmental and Resource Economists (EAERE) and member of the Bureau of the Intergovernmental Panel on Climate Change (IPCC). 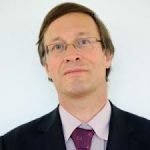 He is also Strategic Advisor of the Euro Mediterranean Centre for Climate Change (CMCC), a Fellow of the Association of Environmental and Resource Economists (AERE) and Co-Chair of the Green Growth Knowledge Platform Advisory Committee. He is President of H-Farm Education and the HforHuman Foundation. 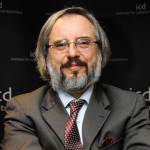 He is also Scientific Director of the Fondazione Nord Est and a Research Fellow of CEPR, London, CESifo, Munich and CEPS, Brussels. His blog is www.carlocarraro.org. 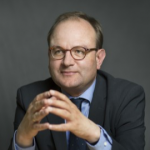 Ottmar Edenhofer is Director of the Potsdam Institute for Climate Impact Research, Professor for the Economics of Climate Change at the Technical University Berlin as well as founding director of the Mercator Research Institute on Global Commons and Climate Change. He is a member of the German National Academy of Sciences Leopoldina and the National Academy of Science and Engineering acatech. Edenhofer has published numerous articles in leading journals and authored various books. From 2008 to 2015 he served as Co-Chair of Working Group III of the IPCC, shaping the Fifth Assessment Report on Climate Change Mitigation substantially, which has been considered a landmark report and provided the scientific basis for the Paris Agreement. Ben Groom is Professor of Environment and Development Economics at the Department of Geography and Environment, London School of Economics and Political Science. He is also an associate of the Grantham Research Institute on Environment and Climate Change. His research has focused on the welfare analysis of public policies that have long-term welfare effects. In particular he has worked on the determinants of the social discount rate (SDR) and empirical measures of intergenerational and intra-generational fairness. At present he is working on several projects, looking at: the impact of different positions on intergenerational fairness on climate change policy; devising a new measure of economic performance that internalises inequality aversion; empirical measures of inequality aversion over environmental quality. Pr Groom’s work has fed into advice for international organisation such as the World Bank, the OECD, the Asian Development Bank and the WWF. He has also advised government in the UK, USA, Norway France, China and Pakistan on various aspects of environmental policy. Xavier Labandeira is Professor of Public and Environmental Economics at the University of Vigo, Spain. In 2014-2017 he was the Director of the Florence School of Regulation Climate at the European University Institute, Italy, and in 2007-2009 he was in charge of the FEDEA Chair on Climate Change Economics. He is currently the director of Economics for Energy, a private research centre specialising in the analysis of energy issues. He is a member of the UN Intergovernmental Panel on Climate Change (IPCC) for the elaboration of its Fifth and Sixth Assessment Reports. Since 2018 he has been a member of the EAERE’s Policy Outreach Committee. Aldo Ravazzi Douvan is Chief Economist, at DG Sustainable Development, EU & International Relations, Italian Ministry of Environment – Sogesid TA, President of the OECD Committee on Environmental Performance Country Reviews and Professor, Environment Global Governance, U. Tor Vergata Roma. 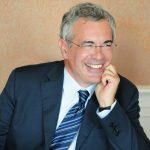 He is also Technical Secretary for the Italian Observatory for Sustainable Finance, the Italian Natural Capital Committee and the Italian Catalogue of Environmentally Harmful and Friendly Subsidies. Ravazzi is President of Green Budget Europe (network of experts on Ecological Tax Reform and Greening Budgets) and Vice-President of Plan Bleu, one the Regional Activity Centres of the Mediterranean Action Plan of United Nations Environment Programme (UNEP), put in place by France in 1977. He was coordinator for the G20 Peer Review of Fossil Fuel Subsidies for Italy 2018 and was President of the OECD Committees on Environmental taxation and Biodiversity, Water & Ecosystems. 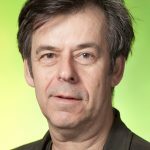 Herman Vollebergh is professor of Economics and Environmental Policy at Tilburg University (Department of Economics, Tilburg Sustainability Centre and CentER) and Senior Research Fellow at the PBL Netherlands Environmental Assessment Agency. His current research covers a broad range of topics including the design and effects of market based incentive mechanisms, like taxation, subsidies and tradeable permits in the energy or waste market, (environmental) cost-benefit analysis, long run relationship between emissions and income, and the effect of environmental policy on technological change. Finally, he is strongly involved in applying his academic work to the policy community including the OECD, European Union and the Dutch government. Martin L. Weitzman is Professor of Economics at Harvard University. Previously he was on the faculties of MIT and Yale. 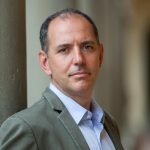 He has been elected as a fellow of the Econometric Society and the American Academy of Arts and Sciences. He has published widely in many leading economic journals and written three books. 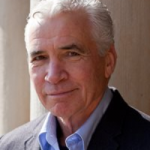 Weitzman’s interests in economics are broad and he has served as consultant for several well-known organizations. His current research is focused on environmental economics, including climate change, the economics of catastrophes, cost-benefit analysis, long-run discounting, green accounting, biodiversity, and comparison of alternative instruments for controlling pollution. « Online Debate: The GB Capacity Market Standstill: What is Happening and Why?